Welcome to the heart of pool season, ladies and gentleman. Hopefully your pool is up and running without issue; chances are, if you are reading this blog it likely is not. This article is here to discuss how to properly match a gasket kit to your pool pump. It is that time of the season, when motors you were hoping to limp through until August have finally given up the ghost. Those poor motors gave it their all but the summer was just too long. 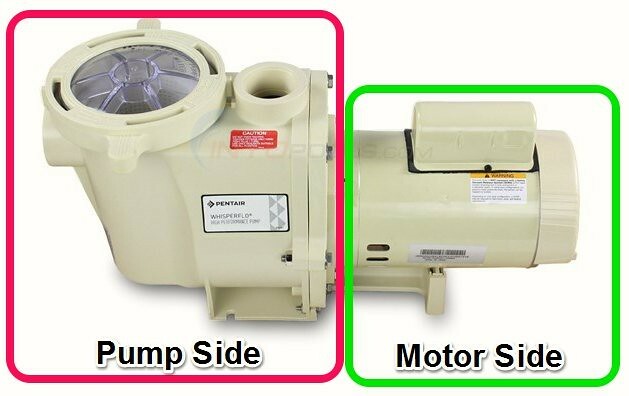 You’ve probably already picked out the correct motor if you have read our previous articles or how to guides on finding the correct pool motor replacement or how to read a pool motor label. But what about the correct shaft seal? Or even the rest of the gaskets? Why Do You Need a Shaft Seal? You may not know but, when you replace a pool motor the shaft seal should be replaced as well. The shaft seal being the two-sided seal that prevents water from gushing into your shiny new electric motor. Over the past 5 years pool pump tune up kits have become very popular as well. The tune up kit consists of a shaft seal, diffuser gasket, pump lid o-ring, housing gasket and lubricant for the o-rings. Normally if you try to use your old shaft seal the seal will not mate up properly with the new motor and you will have leaking. Also when you have the motor disconnected from the pump this is a great time to replace the shaft seal, gaskets and o-rings. 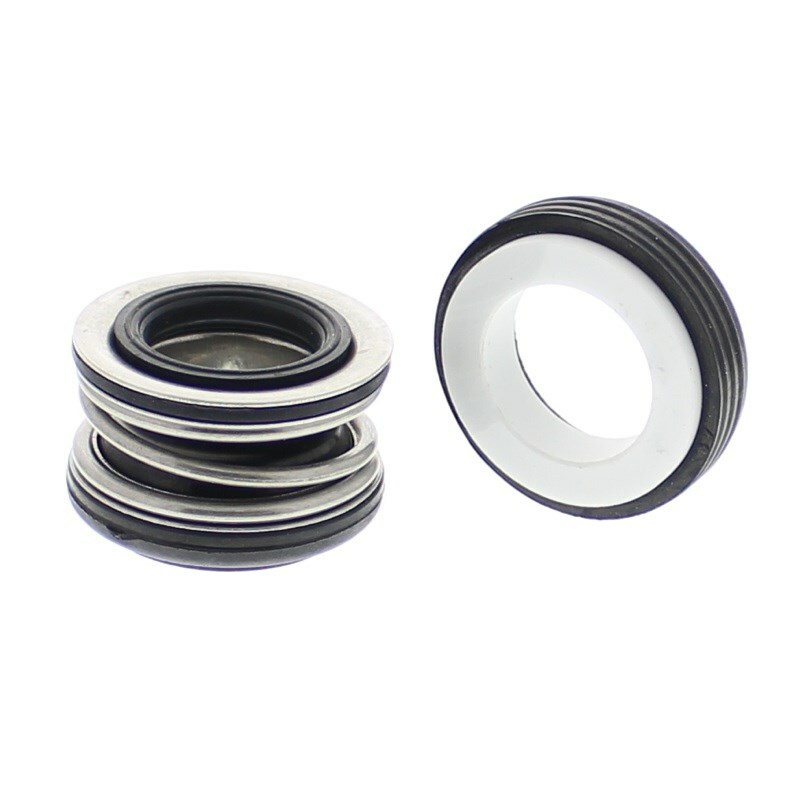 One of the reasons the tune up kits are so popular is because the complete kit is not much more expensive than purchasing the shaft seal by itself. One last point is that the warranty on a pool motor is void if any damage on the motor was due to shaft seal leakage, so it really makes sense to replace your shaft seal when you get a new motor. Another thing I say a lot is; do you know the model number of your pump? When I ask this to someone replacing a motor it helps me determine the correct tune up kit for your pump. Though the shaft seal is vital to a motor replacement, the only true way to match the seal is by knowing the make and model of your current pump. The motor you are replacing can be fitted to dozens of pump housings that may use different shaft seals. The best place to find your pump model information is on the pump housing tag. Pool pump manufacturers label each housing with make and model information as well as serial numbers. The pump model number is the golden ticket to finding the proper tune up kit, so we will want to find that most of all. The tag is usually placed on the side of the strainer basket or near the discharge port for easy access. Model number formats vary depending on the manufacture but should be marked clearly. Once the label info is found, input the pump model number or name like Pentair Whisperflo in our keyword search at the top of the InyoPool page. The results page should provide a match for your pump model and a link to a parts breakdown. If your pool pump has been sitting outside for 5 or so years there is a good chance that label info is obscured, faded, or totally gone; have no fear. If the pump label information is no longer on the pump we can source pump info. from the parts themselves. Parts like the pump strainer lid, basket, impeller or diffuser usually have part #’s embossed into them and we can use this information to source the proper shaft seal. If you cannot find a model name or part #’s then take a few pictures of your pump and send us an email to upload@inyopools.com Normally our swimming pool technicians can spot the model of pump right away with a few good pictures. If you are having trouble determining which shaft seal or tune up kit is right for your pump then post all the information you have in the comments below and we would be happy to help. As always feel free to give us a call at 1-877-372-6038 if you have any questions or need any assistance. Which pool pump tune up kit do I need for this replacement pump? If it is a B625 then your pump is likely the Polaris Booster Pump. If that is the case then you need the GOKIT71. Check your pump housing to make sure it is a Polaris Booster Pump. Which got it do I need? The Pentair SuperFlo does not have a gasket kit, the o-rings and gaskets can be purchased separately. As we mention in the blog, to find the correct gasket kit, we need to know the model number of the pump housing. The SQ1152 can be fitted to dozens of pump housings that use different gaskets and shaft seals. To find the right gaskets for you, we need to know the pump model number. I just purchased the pump ST1152 – A.O. Smith Round Flange 1 1/2 HP Full Rate Motor (C1101, ST1152). Do I need a tune up kit for this. When I watched your U-Tube video, it did not mention this when replacing the pump. 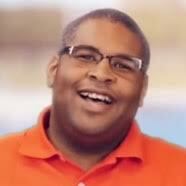 Kate – Anytime a pool pump motor is replaced, a new shaft seal should be installed as well. A tuneup or gasket kit includes a shaft seal and the rest of the rubber seals needed to keep your pump watertight. If the pump’s gaskets are a few years old, we suggest a kit to prevent any leaks when you reassemble the pump. The ST1152 is a motor that can be fitted to a few dozen pump housings. To find the correct gasket kit for your pump, we need to know the model number of the pump. The pump model number is found on the plastic pump housing. What is the tune up kit for A.O. Smith Model CT1072 pump motor? What is the model number of your pump housing? The CT1072 is the model number of the motor. We mention in the article and the above comments (a few times) that the gasket kit is matched to the pump housing and not the motor label. Tony, that is the motor information, found on the motor label. Look on the pump housing to find the pump info. HEY Matt , WHATS UP (JUNGLEBOY) FROM THE TFP FORUM, SO WHERE’S THE BLONDE WIG ? MATT, SORRY TO BOTHER YOU, BUT I NEED HELP. THE PUMP IS DEFINITELY A HAYWARD AS IT HAS THE BIG LETTER “H” USUALLY FOUND ON HAYWARD PUMPS, BUT NO LABEL. IT LOOKS LIKE A MAX-FLO. WHAT MODEL HAYWARD PUMP WOULD THIS BE ? WHAT WOULD THE CORRECT BEARINGS PART NUMBER FOR THIS MOTOR BE ? I THINK IT’S A HAYWARD MAX-FLO, BUT I NEED TO KNOW THE MODEL NUMBER SO I CAN HAVE IT FOR REFERENCE. I ALSO NEED TO ORDER THE COMPLETE O-RING KIT WITH SHAFT SEAL AND LUBE. Hello Jungleboy, that info is all motor and not specific to the pump model that is needed to find the gasket kit. You will need to look on the pump housing tag for a “PUMP MODEL NUMBER” or find a part number on the pump lid, housing, etc to narrow the search. “H” is going to be on every Hayward pump so it at least gets the search down to Hayward. 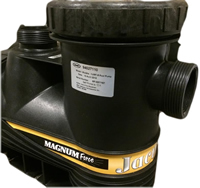 To confirm the model of pump, you can also browse our Hayward pump parts breakdowns to confirm you have the Maxflo. I believe that motor should use two #203 motor bearings. I just did a complete upgade on my hayword super flo. A week later the motor went out. The motor was about 18 years old. I just replaced the motor. Since I just put the new seal only a couple weeks ago. Do I need to replace it again. Wow, that motor was old enough to vote. As a super cautious person, I would put a new seal in there to be on the safe side. As the article states a couple times, we need to know the model number of the pump housing not the mtoor. That motor can be fitted to dozens of different pumps but the gaskets needed to seal said pump varies according to the model. What model pool pump do you have? I am ordering the replacement motor from you, but also need the correct tune up kit. The article (and my responses to the previous commenters) is pretty clear on the gaskets are matched to the pump housing and not the motor info. All the provided information in your original post is motor specific. What Tune-up kit would I need for an A.O. Smith B982 pump? The sticker on the housing that attaches to the pump is P2R A5YE-124L. Is that what you need? I’m not sure I see any other numbers. Yes, the P2R A5YE-124L is what I needed. Your pump is a Sta-Rite Dura-Glas Pre-98, that would mean you need the GOKIT6. I have a Jandy Stealth pool pump that requires a replacement motor, can you please let me know the correct tune-up kit i would need? I have only been able to find the separate parts, no kit. Also, can you please confirm that the motor I have selected is correct? The B748 is a suitable replacement; the B843 is the energy efficient single speed option for your Jandy Stealth. There is a little leak. The plastic piece in between the motor and the pump looks like it might be worn down. Water is slowly spurting out. Thank you for any help you can provide. The SP2615X202S is a Hayward Super Pump, it uses a GOKIT3 or GOKIT3SALT. I have a Waterway 1 1/2 HP 2 speed Part #- PH2100-6p, Model – SD-10-2N11CB, Serial #- SD130611 5700. Is there a kit for this pump or just the shaft seal? Pump is approx. 5 yrs. old and has small drip. Motor still running well. Any videos on how to fix this? The Waterway Hi-Flo does not have a corresponding gasket kit but the parts (including gaskets) are available. Yes, we do have articles replacement gaskets. This is a guide involving replacing all gaskets and o-rings found in a pump, How To Use a Tune up / GO-KIT. I’m a female with some mechanical experience. Call me Mrs. Fix It. The parts page shows an old style (obsolete) and new style, i’m assuming mine is, due to age. Do I need any other parts besides 2,11,14 16 ? Thank you for all your help!!! Hello Terry – which parts listing are you referring to? The one in your previous link for the Waterway Hi Flo. I’m guessing from the list I would need #2. O ring lid. #5. O ring od. #8. Gasket 2″ union. #11. O ring (256). #14. Seal Pump 1000. Is there anything I missed? Where do I find that little tube of lubricant that comes with the kits? Oh, sorry. I didn’t realize all these comments were connected because your replies weren’t directly attached to my replies. But yes, you are correct. Those are all the gaskets and o-rings you would need. Sorry for any confusion and thank you for all your help! I do not have a listing for the capacitor in that motor. But do you have the old capacitor? If so, what are the ratings on the barrel? It should list a voltage and an MFD rating? Also, to find the correct gasket kit, we need to know the pump housing model number, instead of the motor.